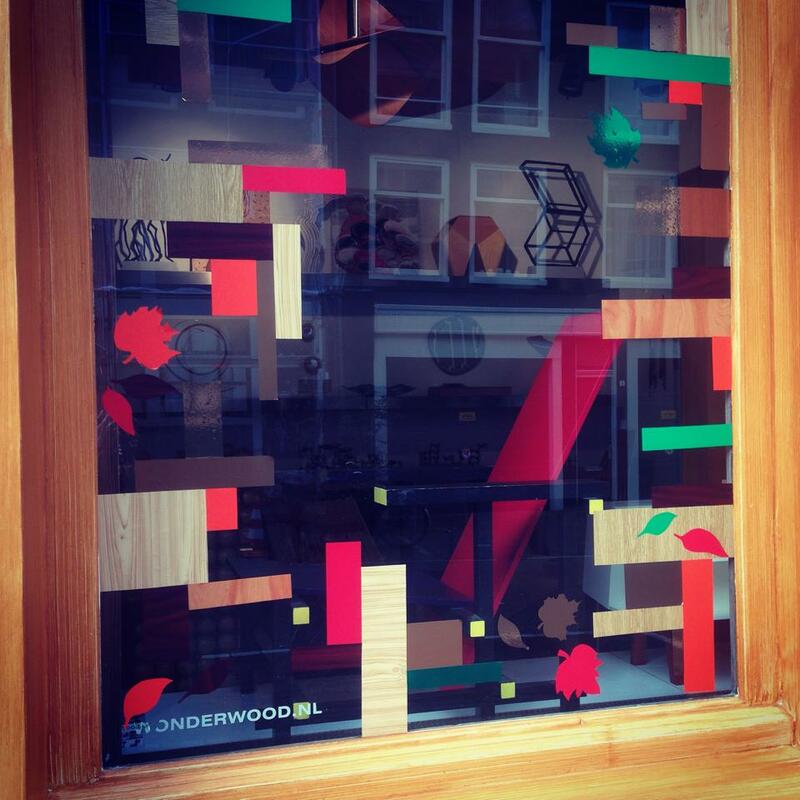 Wonderwood has every season beautiful styled window displays. We have an specialized young creative window dresser for our windows. 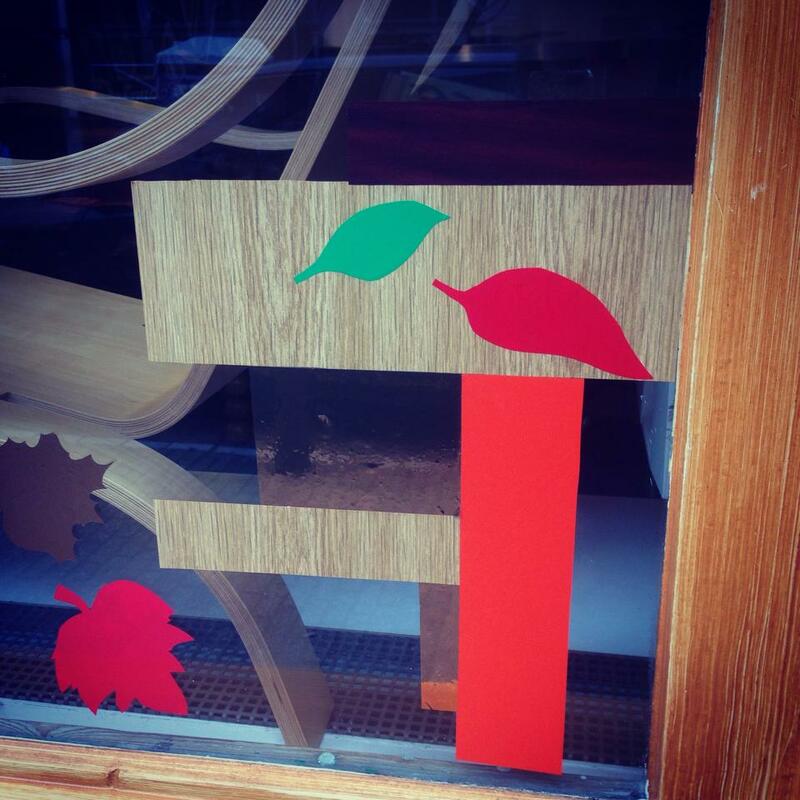 We always come up with something cheerful and creative. 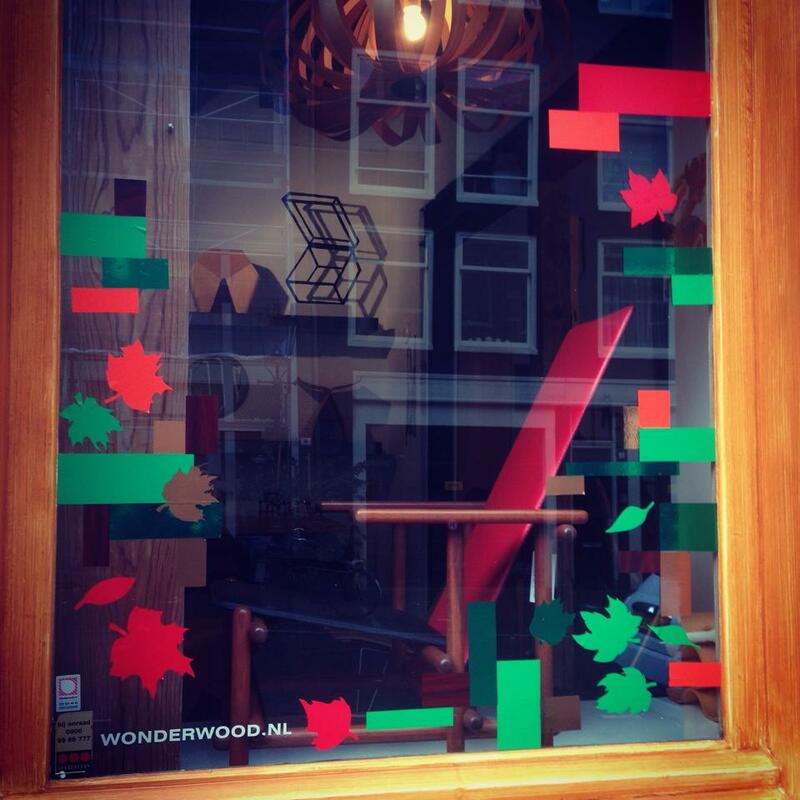 Often we play with selfmade window decorations. 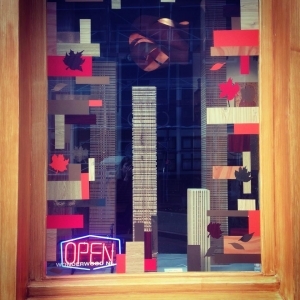 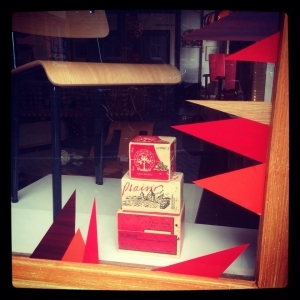 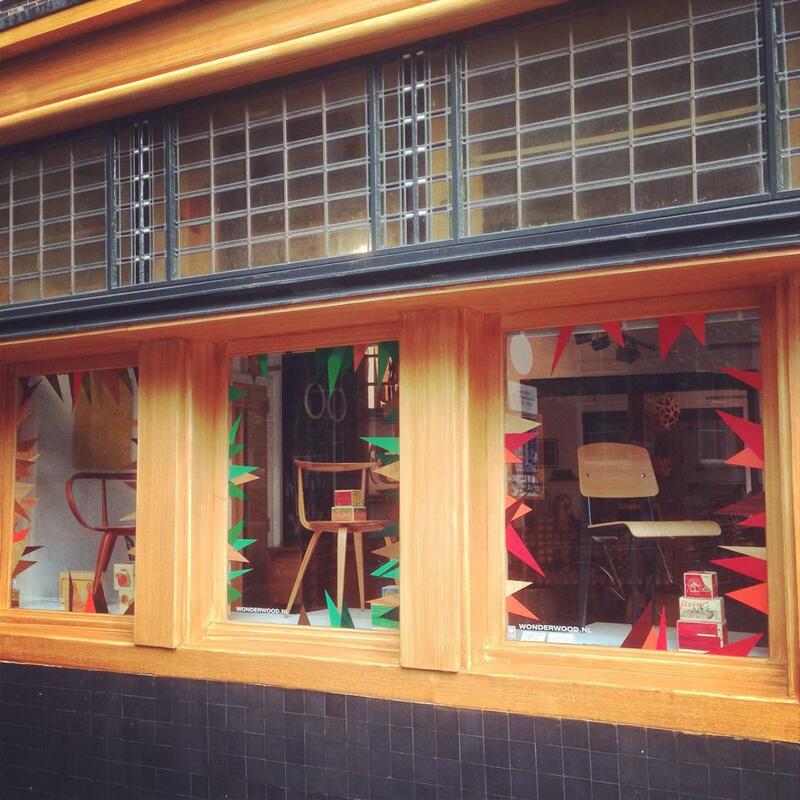 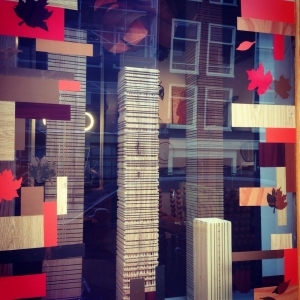 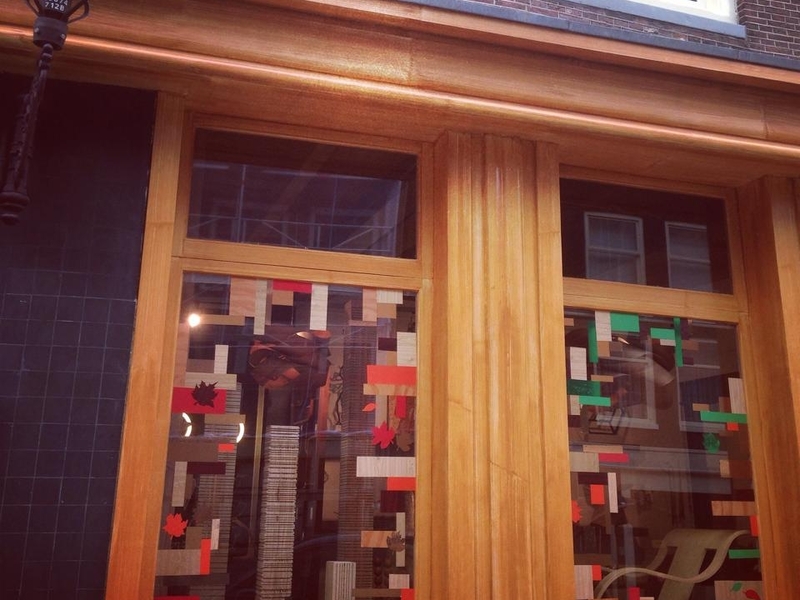 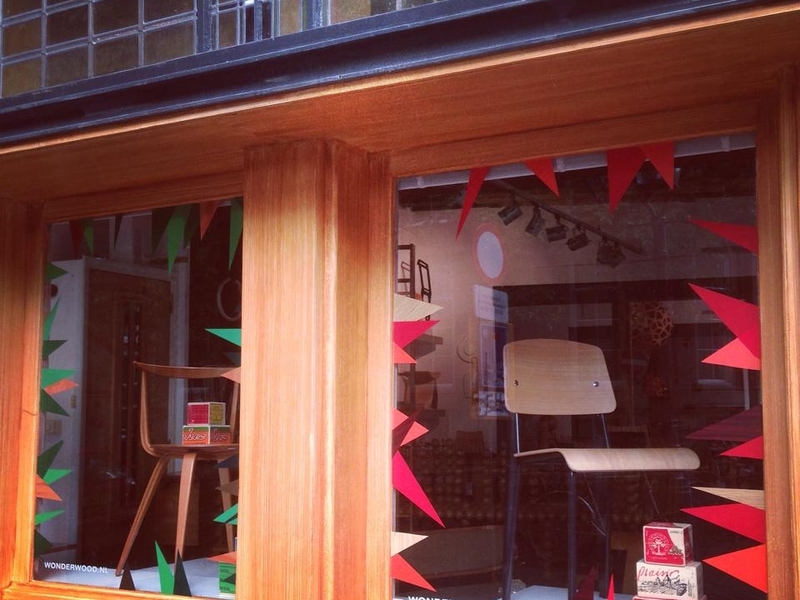 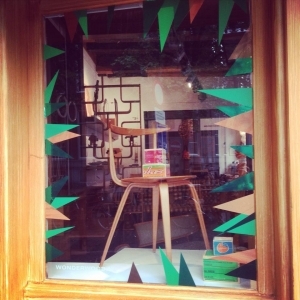 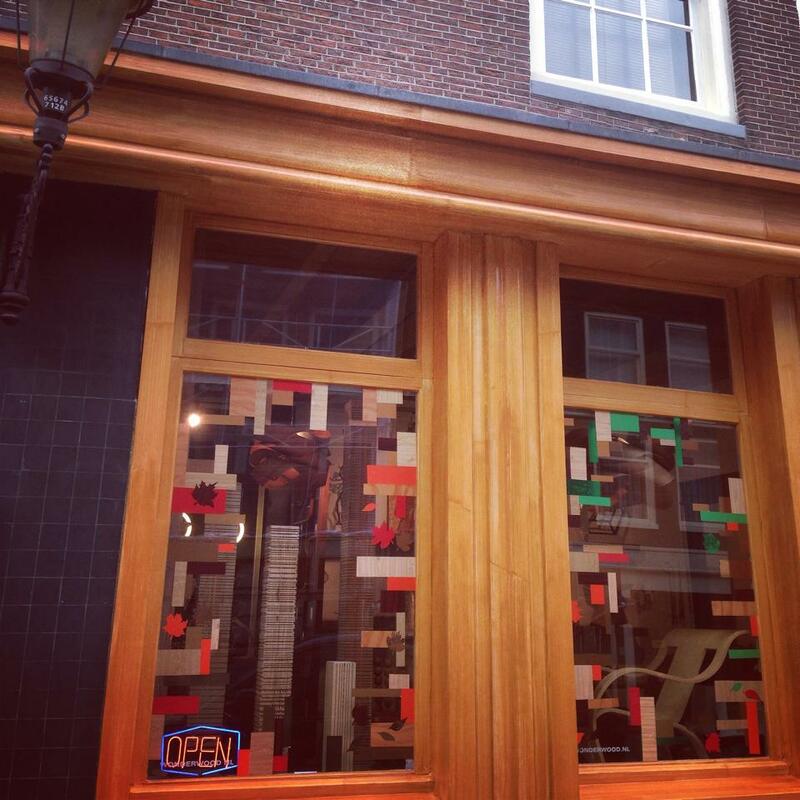 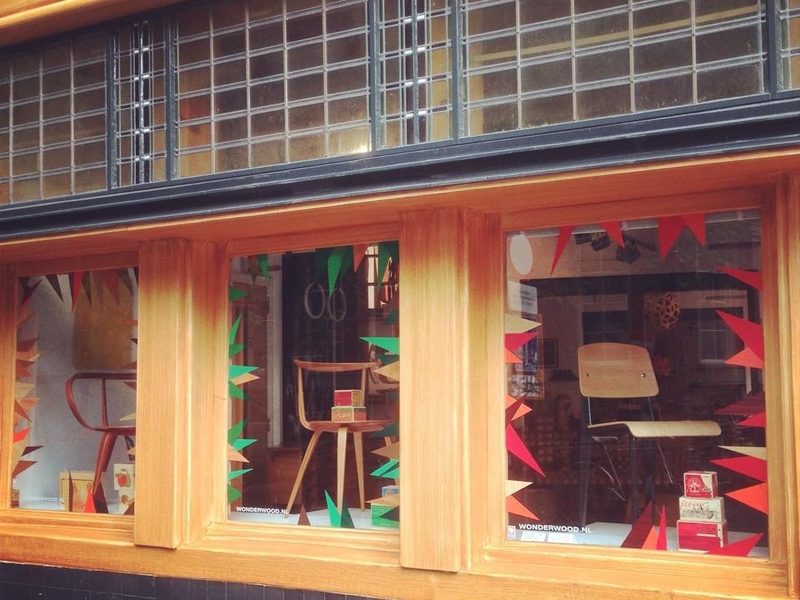 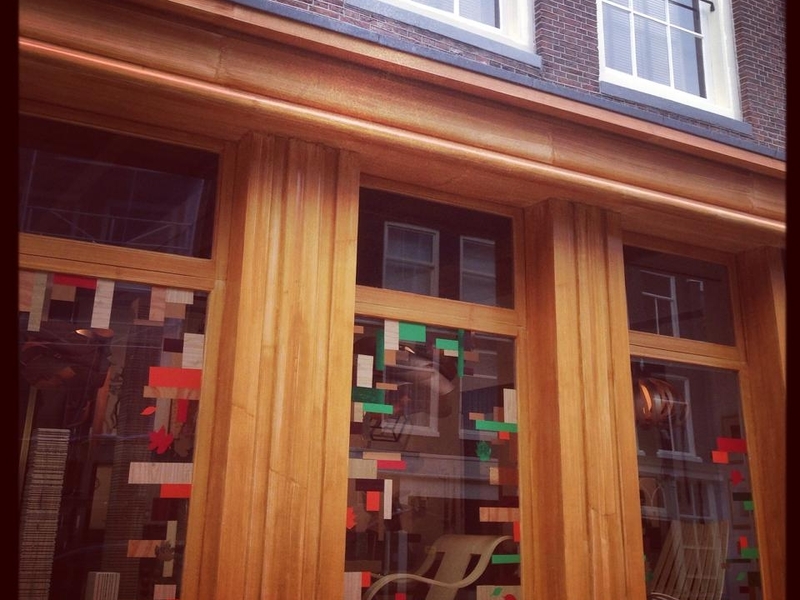 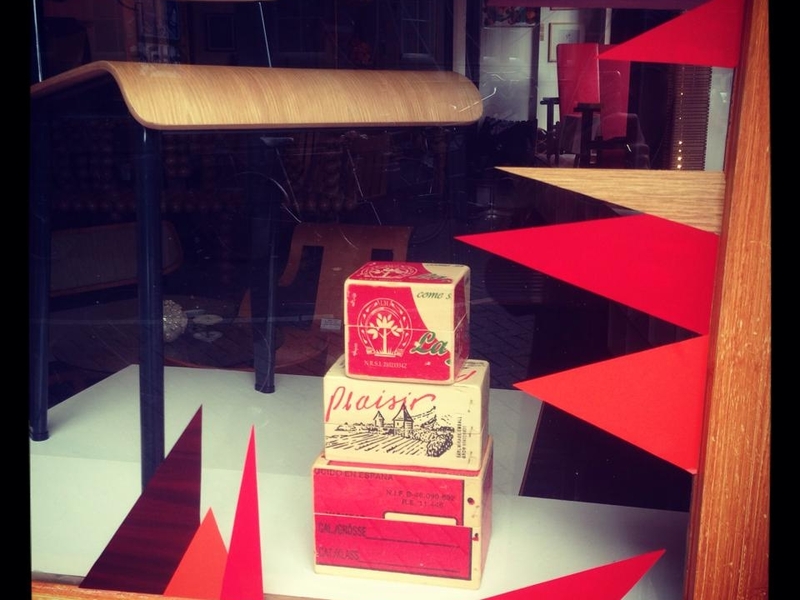 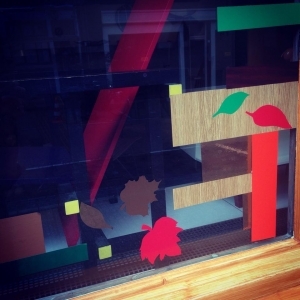 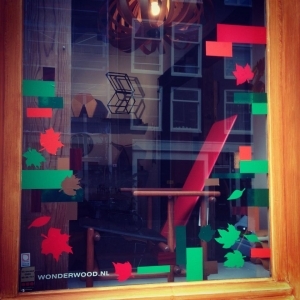 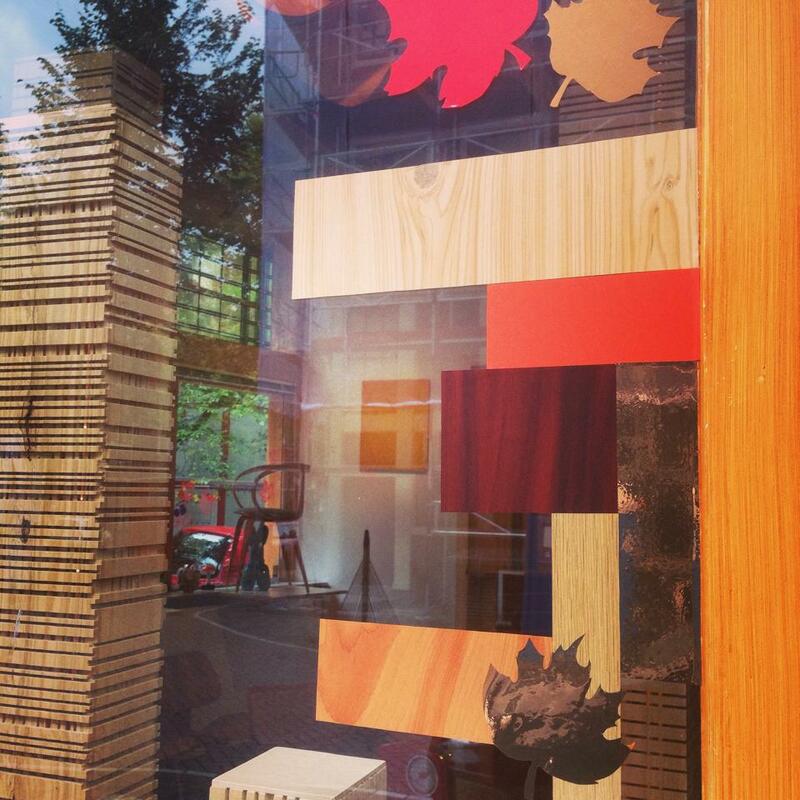 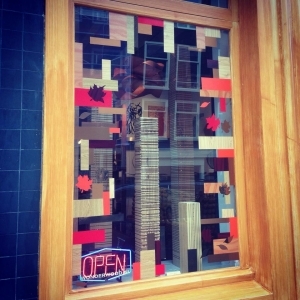 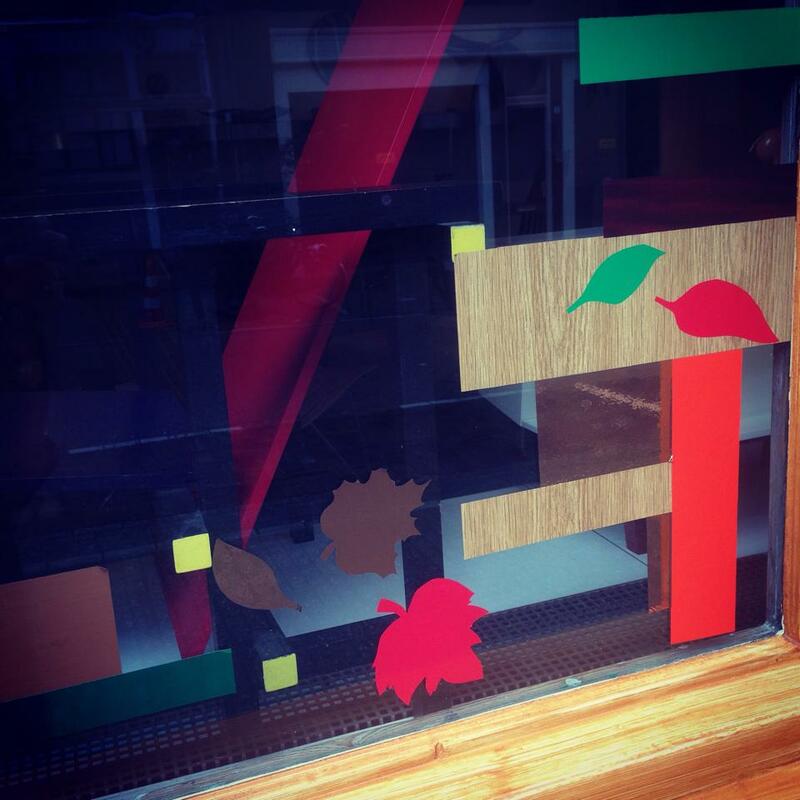 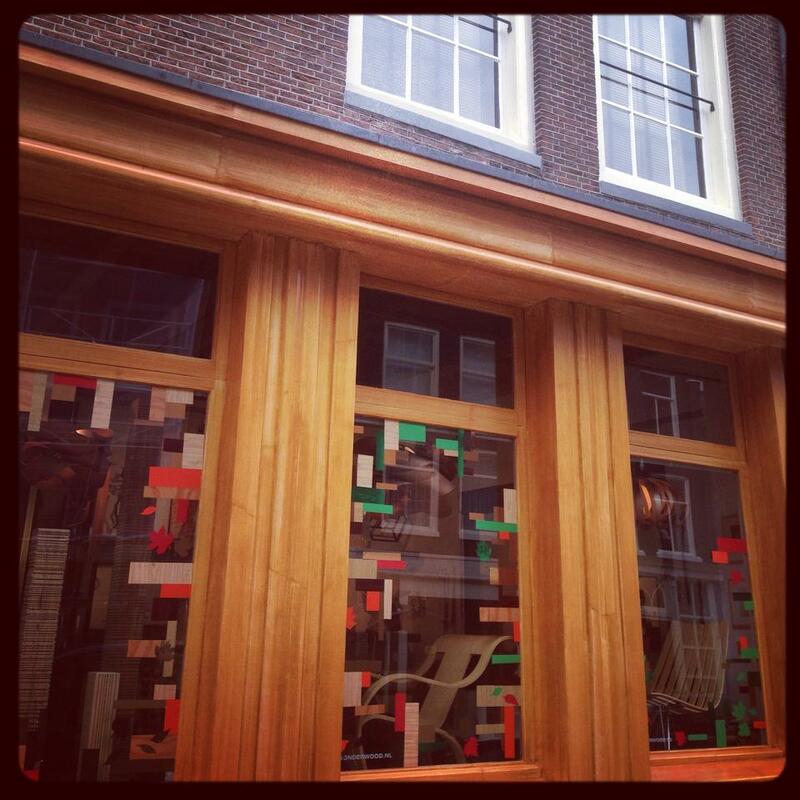 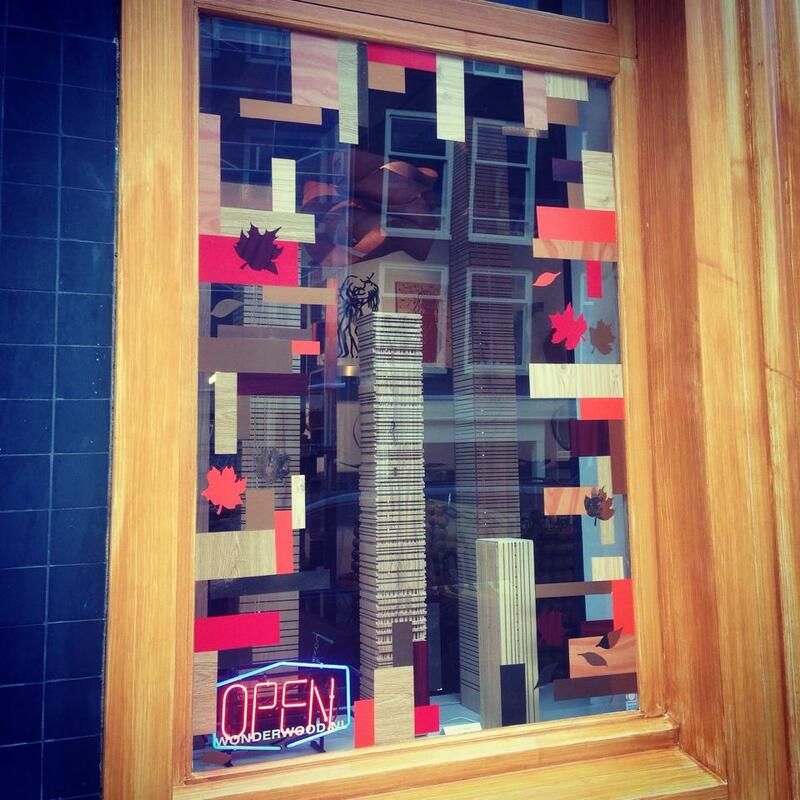 This time, the window dresser made out of the autumn shades abstract shaped window stickers. 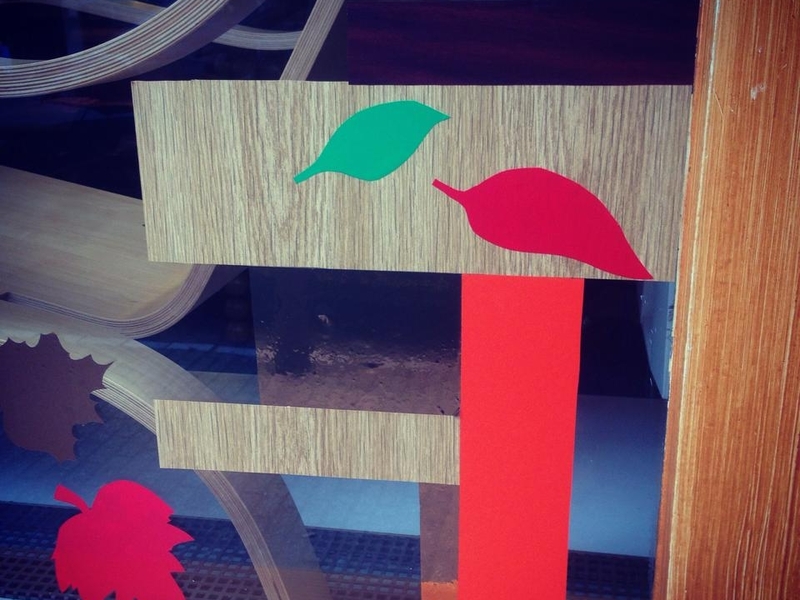 Forms which fit the style of the furniture and designs. 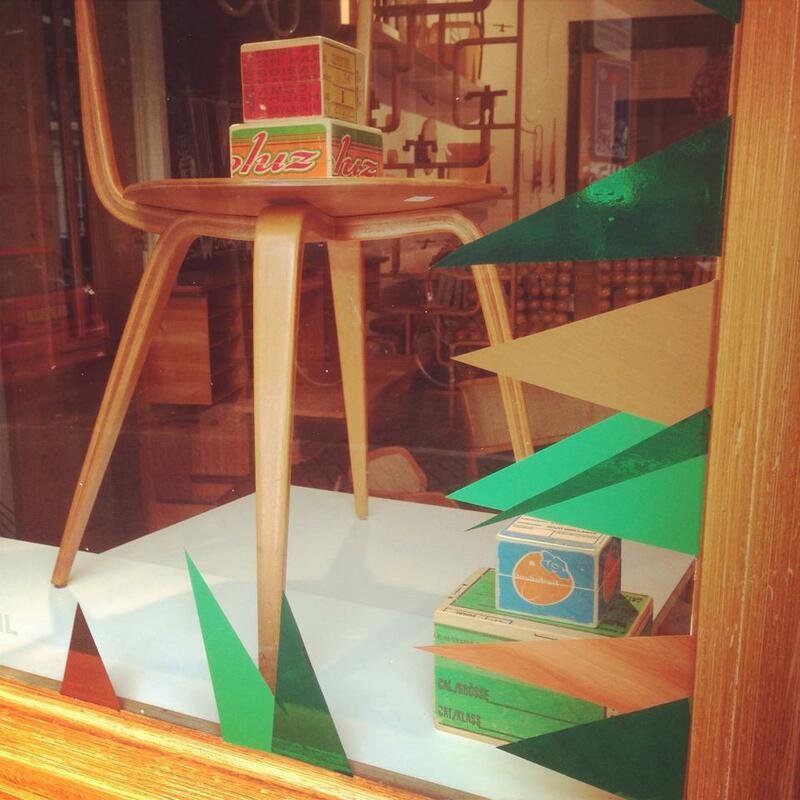 Of course the pieces of furniture and objects in the window switch more often per month. 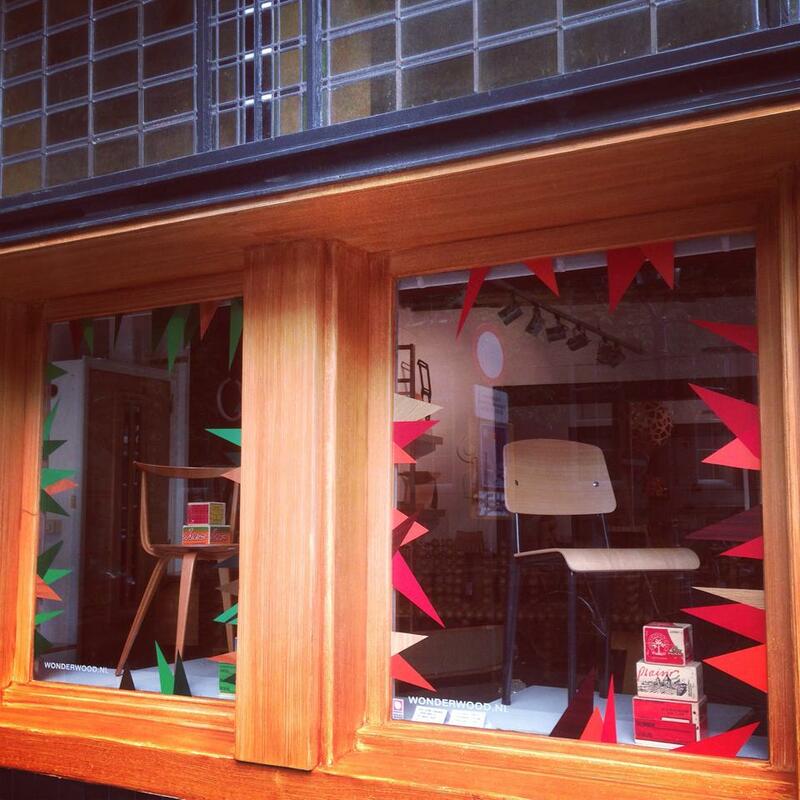 Feel welcome to visit us just for the window shopping.